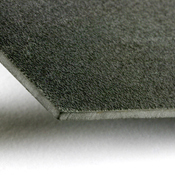 There are two types of noise floor soundproofing treats: impact and airborne. All flooring projects begin with a subfloor and can be complimented with a soundproofing material. 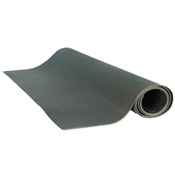 Flooring underlayments are used to soundproof a floor. It’s important to choose the right type of underlayment for the flooring type. is the result of people walking on the floor. Footfall causes vibrations in the floor. And these vibrations spread through the floor, into joists, and then pass through the ceiling of the room below. is the sound that travels through the air, whether it’s people talking, a loud TV or thumping music. Hardwood floorboards can be nailed, glued, or both. Nails transmit noise to the subfloor, so if possible, gluing is a better option. No matter the type of application, a flooring underlayment will treat your room’s noise issues. For glue-down or nail-down hardwood floors, we recommend PROFLEX™ 90. 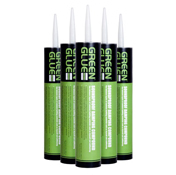 Constructed of a rubberized membrane laminated to a high strength, reinforcing fabric on the face, and a siliconized release sheet on the adhesive side, this product is perfect for finished hardwood floors. It’s waterproof, has a vapor protected membrane, and eliminates cracks. For floating hardwood flooring, Impact Barrier® Flooring Underlayment is the most effective floor soundproofing material. It’s the most technologically advanced sound blocker available for hardwood. Not only will it efficiently reduce footfall impact noise, it also has a membrane that resists moisture, mold and mildew. Laminate or composite floating floors cause two major noise issues: impact noise transmission and echoing within a room. Both of these problems can be significantly reduced by using Impact Barrier® Flooring Underlayment. An added benefit is the vapor barrier that helps protect the floor from moisture. Like other underlayments, it can be applied to the subfloor below the finished layer. Ceramic tile and stone can be the most challenging to soundproof because the floor must be installed at an even level. Our products were created with this in mind. PROFLEX 90 MSC Flooring Underlayment was specially engineered for use under thin-set and mud-set mortar, making it an ideal floor soundproofing solution for tile and stone. Also, it prevents cracking, a common problem with this type of flooring material. PROFLEX 90 MSC Flooring Underlayment will remain flush with the subfloor when installed correctly. After the underlayment is in place, the ceramics or stone can be laid evenly. You won’t see it’s there, but you’ll hear the difference: improved sound quality and reduced sound transmission. Carpeting alone is helpful in reducing footfall noise, but it can’t compete with airborne noise transmission through the floor. Some rooms, such as music practice rooms, home theaters or recording studios, have major airborne noise problems. 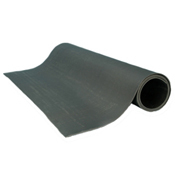 Using a thick barrier fiber composite will reduce noise leakage through the floor. It will also prevent unwanted sound from entering via the rooms below. We recommend Impact Barrier® Flooring Underlayments, which are made from the best, most consistent materials available. 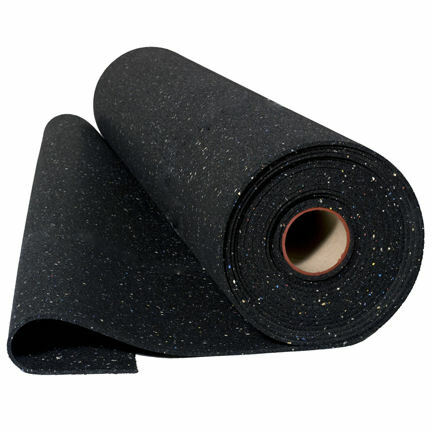 Not only is it the most effective soundproofing material, it will also prolong the life of your carpet. Please call 866-949-9269 for pricing. 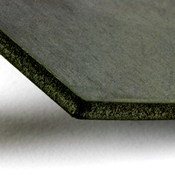 Soundproof Cow offers a variety of effective and affordable soundproof flooring products, including thermoplastic floor joist isolators specifically for improving your flooring assembly’s Sound Transmission and Impact Insulation Classes. 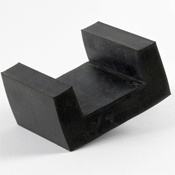 Floor joist isolators decouple flooring from structural supports to reduce sound transmission, particularly lower frequency sounds that are difficult to control. Another easy way to sound proof your flooring (and keep the peace in your home) is with our popular PROFLEX™ 90 underlayment designed for use under hardwood, stone and tile floors. PROFLEX™ 90 not only reduces intensity of foot fall noises but also voice, TV and stereo noise. 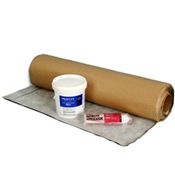 In addition, you can use this special soundproofing material in areas where moisture is a concern. Outperforming plastics and roofing membranes with regard to noise proofing and sound reduction, Impact Barrier QT provides some of the highest IIC rating improvements while offering excellent, anti-fracture crack bridging qualities. Considered by many of our customers as the perfect soundproof flooring product for hotels, high rises, condos, family homes, apartment and office buildings, Impact Barrier QT can be placed under marble, stone, ceramic tile, brick, carpet and laminate/hardwood/engineered wood. If you have questions about how to soundproof floors, we have the answers you’ll be happy to hear. Call us today at 1-866-949-9269.